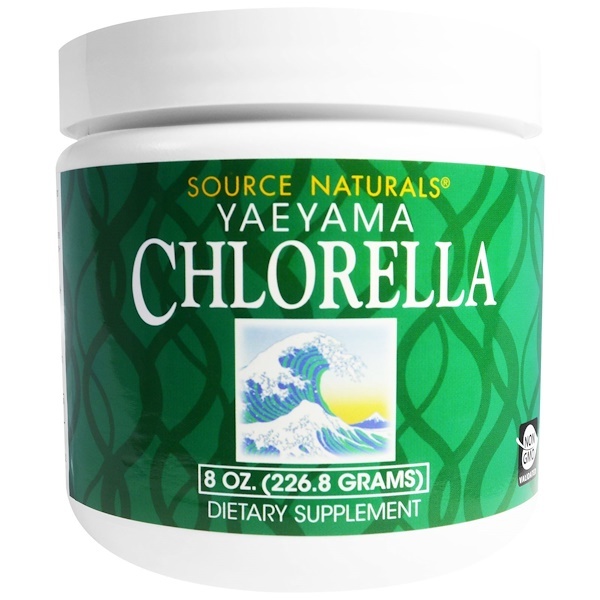 Source Naturals Yaeyama Chlorella is 100% freshwater chlorella, grown on the coral reef island of Ishigaki, Japan. Chlorella is a green superfood of pure algae that is a rare vegetarian source of true vitamin B-12. It is also a good source of iron and vitamin A and a complete vegetarian protein. Chlorella gets its green color from the plant pigment, chlorophyll. 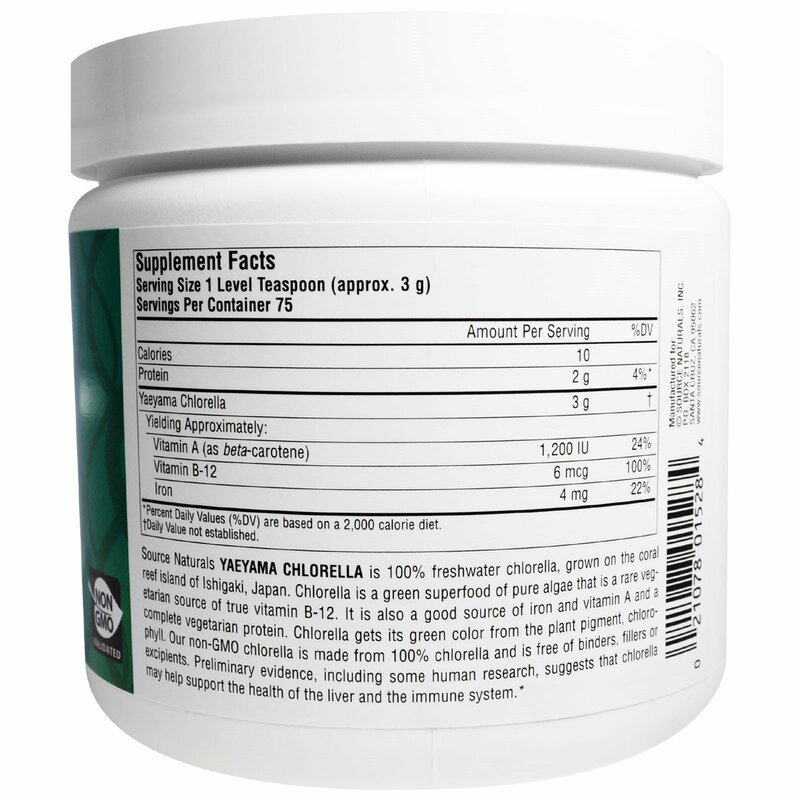 Our non-GMO chlorella is made from 100% chlorella and is free of binders, fillers or excipients. Preliminary evidence, including some human research, suggests that chlorella may help support the health of the liver and the immune system. Suitable for vegans, vegetarians and Hypoallergenic: contains no yeast, dairy, egg, gluten, corn, soy or wheat. Contains no sugar, starch, salt, preservatives or artificial color, flavor or fragrance. Caution: If you are pregnant, may become pregnant, or breastfeeding, consult your health care professional before using this product. If you experience nausea or stomach discomfort, discontinue use and consult your physician.